On Sunday August 22, 2010, the Marlborough Business Association will host the third annual community wide event - Marlborough Day. The day will feature live entertainment, including Alex Flanagan, Bob Bloom from Drumming About You, Back Beat City and The Sweetest Key. Food vendors, exhibitors from area businesses and community organizations will be featured as well. Marlborough Fire Department always delights with a great demonstration, as well as the Boy Scouts with their monkey bridge. The very successful wiffle ball tournament will again take place at the fields and volleyball pick up games will also be played. Activities will begin at 11:00 a.m. at Blish Park and the event will be held rain or shine with activities taking place under the pavilion. New for 2010 will include a putting contest, a chocolate chip cookie and pie baking contest (limited to the first ten entries in each category), family races on the hour (to include three-legged race, egg toss, water balloon toss and sack races), as well as a booth contest for all participating vendors. Also this year, volleyball pick up games and tennis may be played. Last year, over 750 people attended the event, and this year proves to be just as successful. Door prizes will be drawn every hour, and a grand prize will be drawn at the end of the day. If you are interested in becoming a sponsor, there are many levels and opportunities. This is an easy, inexpensive way for you to advertise! Door prizes are always welcome, and we can facilitate pick up of items or gift certificates. Please note that any civic, church or youth group is invited to participate as a volunteer to fill the need of community service hours. There are many projects available, including set up and break down, material distribution, and general duties for the day. Anyone interested in sponsorship, or participating as a volunteer for all or a portion of this signature event is asked to contact Jessica Olander at 860-978-2918. On Thursday, July 15, the Marlborough Business Association will hold its monthly meeting at the Marlborough Senior Center from 5:30 – 7:00 p.m. The focus of the evening will be the business climate in Marlborough and will feature guest speaker Joe La Bella of the Marlborough Board of Selectmen. The public is encouraged to attend and all are welcome. For further information on how to join the MBA, please visit our website at www.mba-ct.org. On Thursday, June 17, Wooden-it-be-Nice Furniture in South Glastonbury was the venue for the MBA Monthly meeting. Salmon River Consulting, Streamline Electric and Wooden-it-be-Nice co-hosted the evening, offering refreshments to all attendees. All co-hosts spoke briefly about their businesses, and services offered. Wooden-it-be-Nice features gently used quality furniture, a select collection of china and unusual glassware, artwork and more. Salmon River Consulting specializes in creating effective websites that range from simple brochure-style websites to fully custom database applications. Streamline Electric services both residential and light commercial repairs. Streamline performs equipment installation, service upgrades, and generator installation. Streamline Electric offers free estimates for his customers as well as twenty four hour customer service. The MBA was proud to present Jordan Hassett and Casey Zammitti each with a $250.00 scholarship. Both students will pursue a career in business. Each year the MBA works closely with RHAM teachers and administrators to select the students and offer scholarships. MBA President Greg Murphy of Lombardo Insurance gave an update on MBA activities, and focused on August 22nd Marlborough Day. Registration forms for booths, door prizes and sponsorships have been sent to the MBA membership, and are always available online at www.mba-ct.org. Should you have any questions, or need further information, please contact Jessica Olander at 860.978.2918. The next meeting will be held on Thursday, July 15th from 5:30-7:00 p.m at the Marlborough Senior Center. The “State of Doing Business in Marlborough” will be the topic and will feature several town officials to give an update on Marlborough and the business climate. The public is encouraged to attend. Any questions, please call Jessica Olander at 860.978.2918. The Board of Directors for AHM Youth and Family Services has recently announced plans for its SEVENTH ANNUAL AHM GOLF OPEN to benefit the children and families of Andover, Hebron, Columbia and Marlborough Connecticut. A committee of local business men and women and residents have joined together to organize the tournament again this year. The committee is planning a great day for the 2010 AHM Golf Open featuring a round of golf, a chance to win numerous prizes and contests, a luncheon, and awards ceremony. The tournament will be held at Blackledge Country Club on Monday July 12, 2010, beginning at 9:00 AM. The tournament is scheduled for a “shotgun” start at 9:30 AM. An afternoon picnic will be hosted by the Armata Family from Ted’s Supermarket. Please see the flyer for participation information. Marlborough Arts Center is hosting a wonderful new event that will bring many new and returning customers through your doors. In conjunction with our Gallery Exhibit, a one-day-only Garden Tour on July 10th will offer people the opportunity to visit and tour private gardens in the surrounding area, as well as enjoy demonstrations of en plein air painting, see unique sculptures, water features and specimen plantings, and then tour the exhibit at the Arts Center and enjoy some light refreshments. Please see the registration form to see how your business can get involved. Marlborough Businsess Association (MBA) member Chip Beckett is running for state senate. He is a candidate for the 4th Senatorial district, representing the towns of Bolton, Glastonbury, Manchester and Marlborough, and is looking for your support. Please see his cover letter and donation form. Denise Thompson, owner of Artisan Framing and Gallery, located on the grounds of the Shoppes at Marlborough Barn, opened her doors to host the monthly MBA member meeting. 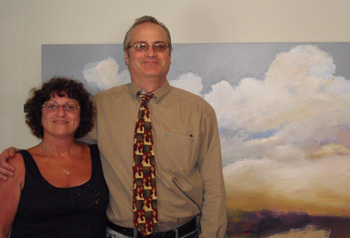 MBA President Greg Murphy thanked Denise and noted what a beautiful gallery she has. The shop specializes in framing, and also has pieces for sale. Denise will be hosting several events over the next few months, including Plein Air painters as well as a silhouette artist. For more information log onto the MBA website at www.mba-ct.org. Chris Graves, owner of Avoca Designs, discussed marketing plans for small businesses. Today, through email and social networking sites, there are many no cost or low cost ways to get your company name out there. The most important part is to get the right message to the right audience. He provided valuable information and hand outs to the group and answered questions. The next monthly meeting will be held on Thursday, June 17th starting at 5:30 p.m at Wooden-it-be-Nice Furniture Consignment located in South Glastonbury. 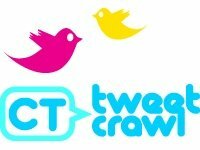 The Marlborough Business Association (MBA) has teamed up with CT Tweet Crawl to bring you the first crawl in Marlborough. CT TweetCrawl is the happy hour with legs; changing the way people in Connecticut network, generate buzz and build business. The Marlborough Tavern is providing us with some snacks and our own private room, so we can network, talk social media, and swap ideas. 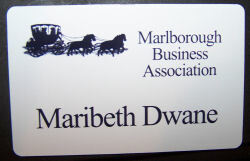 The Marlborough Business Association (MBA) hosted its first morning meeting of 2010 on Thursday, March 18. The featured guest speaker was Dr. David Sklarz, Superintendent of Elmer Thienes-Mary Hall Elementary. Dr. Sklarz has always wanted to be an educator, and has made it his life's work. He has taught, held both Assistant Principal and Principal positions, and served as Superintendent of two larger school districts. “From North to South, East to West, one thing remains constant, parents wanting the best for their children when it comes to education.” He is happy to be in Marlborough, saying that everyone involved here is truly special. Elmer Thienes-Mary Hall won two awards last year, Outstanding Elementary School of the Year, as well as the School Climate Award, proving this is a unique learning environment. He noted that the past year has been challenging, with difficult economic times, and he thanked the MBA for having this meeting to help him get the message “we are all in this together,” to the public. He has proposed a 0% budget increase for this year, and noted he looks forward to the continued relationship between the MBA and the school. Also in attendance were Becky Granatini, Chari Norton and Lisa Seethaler, founders of the Marlborough Education Foundation (MEF), a group of Marlborough residents who saw the potential of the school, administrators, teachers, and students to expand the learning experience. MEF will be a separate entity, and will allow teachers to apply for mini grants, run programs, such as Talents on Tap to enhance the curriculum and to tap vital resources from the community and connect them with curriculum through a Marlborough Education Foundation liaison. On April 29th, they will be hosting a kick-off meeting of the Foundation at 7:00 p.m. at the Richmond Memorial Library. For further information, or to see how you can become involved, please contact Becky Granatini at bgranatini@comcast.net. Just a reminder that the Marlborough Food Bank is is need of pancake mix, syrup, spaghetti sauce, crackers, personal care items, dog and cat food and much more. Monetary donations are always welcome, and if you have any questions, please call 860.295.6008. Sara's Home Childcare has infant and/or toddler openings. Licensed by the State of Ct., CPR, First Aid and Medicine administration certified. Home cooked meals, preschool curriculum and near Route 2. Please call Sara at (860) 295-8644 for an interview. On Thursday, February 18, the MBA will host its monthly member meeting beginning at 5:30 p.m. The meeting will be hosted by AHM Youth and Family Services, and is being held at their facility located at 25 Pendelton Drive in Hebron. All Marlborough community civic and service organizations are invited to share their calendars, needs and contact information for 2010. Also on hand will be Bill Chapman, RHAM Education Foundation President and Bob Siminski RHAM Superintendent. They will speak to the group about who they are as an organization and how to better meet the community's needs. AHM will also address the group and provide attendees with upcoming events and a review of their programs and services. “The MBA has the ability to reach out to several organizations at once and provide a round table so that we may better serve our community. This is an excellent venue for all civic and social organizations to provide their calendars, and contact information to the MBA so that we may utilize it for the year 2010”, says MBA President Greg Murphy of Lombardo Insurance. The MBA can post needed items, wanted positions and special events to its website, adding another outlet for groups to connect during this tough economic time. Members of the community are invited to attend as well. There is no charge to attend, and light refreshments will be provided by the host, AHM Youth and Family Services. It was a full house at Bodyworks Fitness Center January 21st as over 55 attendees came to hear Marlborough Resident Troopers Mark Packer and Craig Fox discussed the break-ins that have been occurring in town. Bodyworks Fitness Center Owner Janice Flanagan hosted the evening providing the venue and refreshments for all. She is offering great classes and deals through the month of January, including a ZumbaThon to which she will donate all proceeds to Multiple Sclerosis research. It was cold outside, but warm inside the Marlborough Congregational Church, as over 60 attendees came to the Community Carol Sing on Sunday, December 6. The Marlborough Business Association (MBA) and the Marlborough Congregational Church co-hosted the event that included children's activities, carols and refreshments. Santa paid the audience a visit, listened to each child's request, and handed out candy canes. It was a wonderful photo opportunity for children and adults alike. Another feature of the evening was two singing groups, called the MccMusic Program. This is a relatively new program to the church, and is a wonderful opportunity for children to learn the rudiments of singing and music. The highlight of the evening was the Congregational Church Puppet Troupe that performed several songs and skits with masterful puppetry. All enjoyed the show. Thank you to the Marlborough Arts Center, and several members of the Marlborough Business Association who provided delicious refreshments for the crowd. Cookies, pumpkin bread and mini pastries were among the offerings, as well as hot cocoa and apple cider. This evening was a wonderful opportunity to join together as a community and celebrate the holiday season. This was s a non-denominational event, and all are invited to participate next year the first Sunday of December. We look forward to seeing you! Know a small business that needs help? Do you know of a business owner who is interested in doing business with the State of CT and needs to find a way to work through all of the red tape? Or wants to export their products? Seminars are held twice a year to help small businesses that are interested in contracting with state government. Another seminar helps companies export their products and services to foreign countries. Both are sponsored by the Secretary of State’s Office. Year-round, Connecticut offers free service for businesses looking for information on assistance programs, licensing, registration, recruiting, financing, incentives, real estate, manufacturing, exporting, business counseling and more. Talk with specialists via a toll-free number (1-800-392-2122) or via email info@YouBelongInCT.com. On Thursday, December 17, the MBA will host its fourth educational seminar of 2009. Rachel Pianka of Salmon River Consulting will be our guest speaker and will focus on “Your Healthy Website, is your website working for you?” Rachel will include a checklist for participants and demonstrate new and innovative ways to market your business easily and inexpensively through the web, and services such as LinkedIn, FaceBook and Twitter. Salmon River Consulting and Marlborough Health Care Center will host the evening. On Sunday, December 6 the Marlborough Business Association (MBA) and the Marlborough Congregational Church will once again host the Community Carol Sing at the Church. The evening will begin at 6:00 p.m. and feature refreshments courtesy of the MBA, a photo opportunity with Santa, the Puppet Troupe & MccMusic Program. This evening is a wonderful opportunity to join together as a community and celebrate the holiday season. This is a non-denominational event, and all are invited to participate. Last year over 45 attendees came and enjoyed a puppet show by the Congregational Church Puppet Troupe, carols and cider and other refreshments including cookies, brownies, dips and chips. Santa always drops by to take pictures and to hand out candy canes. For further information, or to bring a refreshment to share, please contact Jessica Olander at 860.978.2918. On Thursday, October 15 several MBA members, guests and new members attended the monthly meeting, focused on taking advantage of all the MBA has to offer. MBA President Donna Finocchiaro of Organized East of the River, began the meeting by thanking Nancy Wood, Library Director, for hosting the group. Nancy updated the audience on upcoming projects and happenings at the Library. The library is cutting costs by now emailing late notices, and the library just received a STEEP grant of $250,000 to complete a 2nd floor project. The RML Friends Committee is also getting ready for their 25 Days of Holiday Cheer a Silent Auction which takes place from November 9 through December 9. This is a great opportunity to donate items or services, with over 1,000 people coming through the doors to view items. Donations are being accepted from now until November 2, please contact Nancy Wood at nwood@richmondlibrary.info for further information, and if you are interested in donating. Donna highlighted the activities and accomplishments of the MBA, noting that its Board is very active, and its members are supportive. The group continues to meet on a monthly basis, providing members the opportunity to network and discuss issues affecting local businesses. This year, a four part educational series was introduced, focusing on “Your Healthy Business.” Topics included a legal checkup, legislative issues, and insurance needs, with the fourth seminar in December focusing on making your website work for you, alternative marketing options. The MBA has maintained an open line of communication with the boards in town, especially the Economic Development Committee and continues to have a strong voice. The MBA hosted the 2nd Annual Marlborough Day, a community wide event which was a great success, as well as the Community Carol Sing, collecting items for the Food Bank, and various other events that the MBA feels strongly about to give back to the community. Donna reminded everyone to take advantage of utilizing the MBA website for business announcements and ads. She then opened up the meeting to all in attendance and asked people to give their reasons for joining, continuing their membership, and getting others involved. From comments of “increased connections”, “people here are passionate and real”, “easy to feel like you belong, comfortable”, “able to talk to peers to get advice”, “great resources”, “high trust factor”, “small intimate networking”, “website was beneficial”, “you are a more informed business owner because of the connections the MBA has with the town”, everyone in attendance had something to add to this interactive discussion. The next meeting will be the MBA Annual Meeting taking place in November. More details will be emailed to all members. Click here to view the Marlborough Day Photo Album. Take a look to see the great activities and to review your visit with our member businesses. Look for another great day coming in 2010! Photography courtesy of J-S Photo. to your list of Favorites. On any given day you can find Brad Korth knee deep in water, studying the landscape and surveying the damage. And then, he uses his knowledge of septic and water systems, and winds up saving the homeowners thousands of dollars. Or you may find him sharing his knowledge as an adjunct faculty professor at Post University in Waterbury, enjoying the time he spends with his students. Or he is speaking to a group about hazardous chemicals in the home and workplace environments, saving them from potential dangers. Whatever he is doing, Brad Korth thinks outside the box and that has gained him the respect and referrals of many clients and peers. 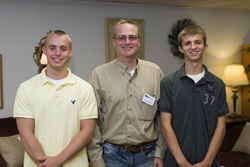 Brad earned his Bachelor's degree in petroleum engineering from the University of Kansas in 1982. He worked in the oil industry for several years, and then for Pratt and Whitney where he worked in environmental compliance. Brad holds Masters Degrees in both environmental engineering and business/environmental management. In addition to designing septic systems, Brad spends half of his time making sure customers and clients are aware and compliant with hazardous waste regulations. He enjoys his work, and still finds time to be an active member of the Marlborough Business Association. For more information, or to contact Brad, please call 860.989.2800 or visit him online at www.kortheng.com.